Preheat oven to 350 degrees. Cook nine layers of Anne’s Flat Dumplings in boiling salted water in a large stockpot for 3 to 4 minutes. Drain and set aside. Spread a layer of marinara or meat sauce over the bottom of a 9×13-inch baking pan. Arrange a layer of nine dumplings over the sauce. Top with ricotta cheese. Repeat the layering process twice. 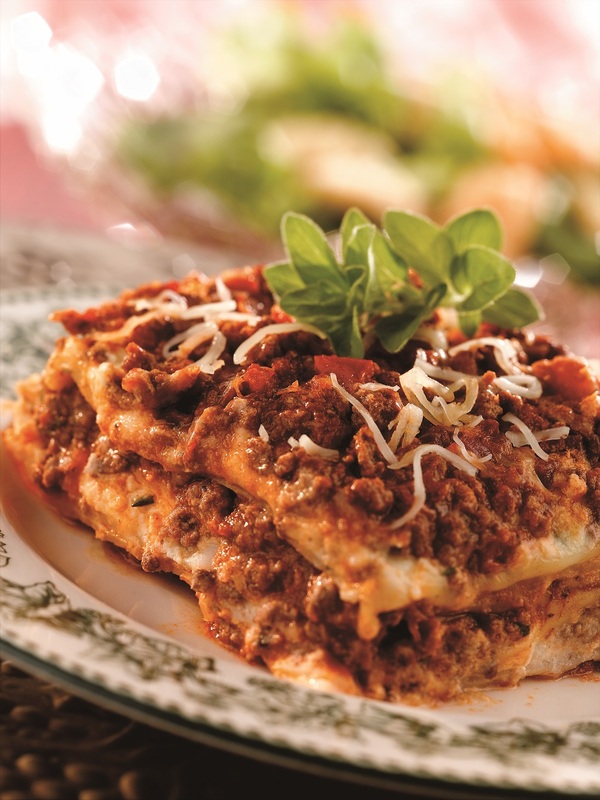 Spread marinara or meat sauce over the top and sprinkle with shredded mozzarella cheese. Bake for 45 to 50 minutes or until bubbly. -Combine the gelatin and water in a bowl and stir until the gelatin is dissolved. -Add the sugar, orange juice and orange zest and mix well. -Chill just until beginning to set. -Beat the evaporated milk in a bowl until foamy. -Fold into the gelatin mixture. -Sprinkles ground vanilla wafers over the bottom of a 9×9-inch dish. -Pour in the gelatin mixture. -Sprinkle with additional ground vanilla wafers. Combine the whipped topping and pudding mix in a large bowl and mix well. Stir in the pineapple. Fold in the marshmallows. Spoon into a large serving dish and sprinkle with almonds. Chill, covered, until serving time.